You want to unlock the best weapon in Kingdom Hearts 3? We’ll explain how to get the Keyblade Ultima in KH3. To get the Mighty Sword you have to do two steps, first you need the recipe for the weapon, then you need unique materials. The material is called Orichalcum+ and is not that easy to get. 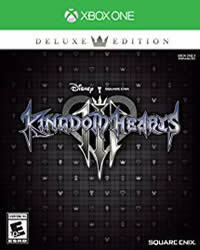 More news and updates on the game can be found on our Kingdom Hearts III theme page. To unlock the Ultima weapon recipe, you must collect 58 different synthesis materials. These are dropped by enemies, can be found in treasure chests, and if you destroy space rock with your gummi ship. Also check out the Moogle Shop (in every world) - Workshop - Collectibles - Received 58 different synthesis materials. Now you have unlocked the recipe, but the hardest part is still in front of you - finding the material to make the Ultima weapon. This guide is under construction and will be extended shortly.